In a previous post, I wrote about Sirius Black and how his crazily devout loyalty to his friends signals some very positive, as well as negative things. I wrote about how he might see ‘changes’ in people as a terrible thing, a form of betrayal nearly, a wavering from what he has chosen to devote himself to. It struck me then as it strikes me now that Sirius may not have been a very good adult role model, and it was for this reason among others that Rowling chose to kill him off in Book 5, before Harry had entirely emotionally outpaced him. I suppose it’s disturbing then that I’ve increasingly grown to identify with Sirius on certain matters. This doesn’t bode well for the emotional health of a seeking-to-be-well-adjusted 26 year old, does it? One of these struck me particularly hard recently, before and shortly after a trip to what was once a stomping ground, Delhi. I’ve entered that age bracket where my friends are starting to get married. This is at once exciting and alarming.Exciting because who doesn’t love celebrations and excuses to get dressed up (okay, don’t answer that question, I actually know people who would disagree with me quite vociferously) and alarming because it seems to indicate that we’ve gotten…older. We’re no longer gushing about crushes and being excited that a friend is maybe kind of dating someone. Now we’re celebrating the legalization of that relationship, and how life is going to change after that. This reminded me of Snape’s infamous memory, our one glimpse into the dynamics of the Marauders as they were in Hogwarts. 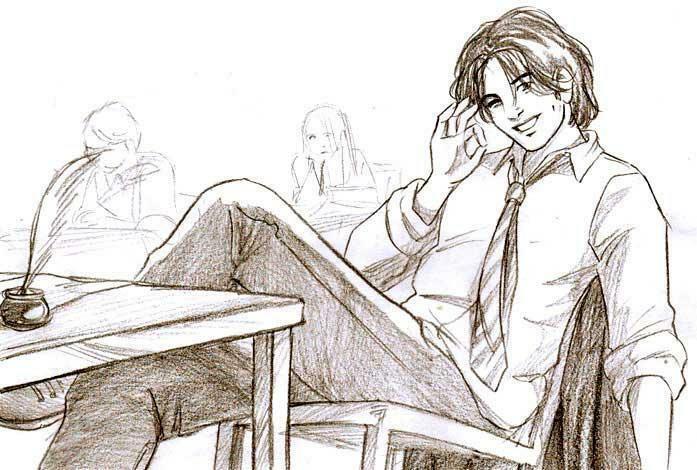 When the boys are relaxing near the lake after the exam, James is described as preening and running his hands through his hair, trying to catch the attention of a group of girls seated across from them. It’s understood that he’s trying to snag Lily’s eyes. 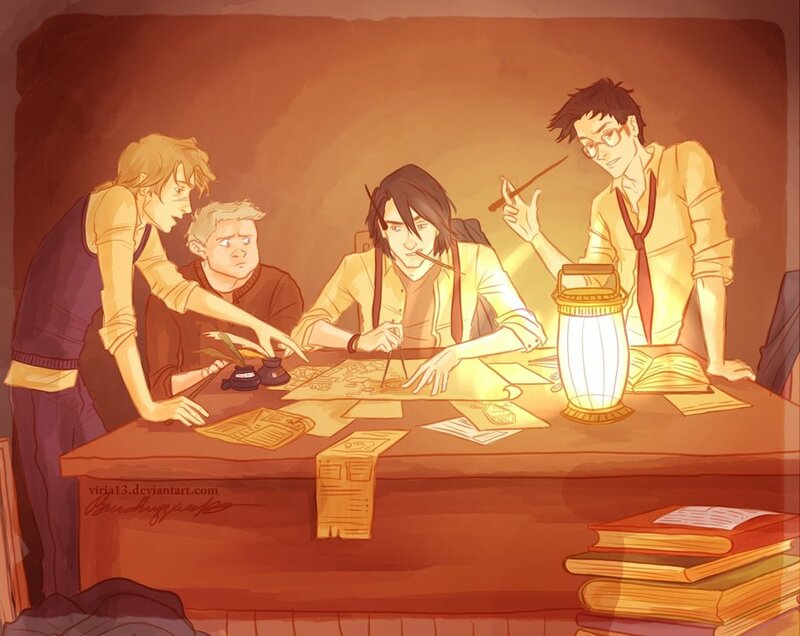 Remus is buried in a book, attempting to study for the next paper and Peter watches James’s play with a Snitch, wide eyed. Sirius is bored, and it’s this that sets the bullying of Snivellus in motion. I should amend that, actually. Sirius is primarily bored. But he betrays another sentiment during this scene that sort of stands out, both in comparison to how he’s usually portrayed, as well as the sort of foresight it seems to indicate—something that most Potterverse characters don’t display. Sirius looks annoyed by James’s attention to Lily. When I read the scene a couple of years ago I rather romantically saw it as Sirius being jealous because he was, well, attracted to James. Now I see how, while that might be true, there are other, more platonic reasons for his attitude. This may be because I’ve begun to personally understand and experience them. Sirius, at this moment, sees Lily as what she is, though for no fault of her own: a disruption. Lily signals change for the group. James’s feelings for her, immature though they are, are a break away from his until-now unquestioned devotion to his friends. This is something he cannot share with Sirius, and opens up a whole new world that he is not a part of. Along with ‘growing up’, it’s a ‘growing away’, as Sirius reads it, and if he has to play up James’s immature side to keep him away from Lily a little longer, he will do so. Of course, I’m not saying I’m going to break up my friend’s impending marriage, or those of the others who are in line to tie the knot. It’s not part of the plan at all. I do, however, understand why Sirius felt the way he did. Things change, people move on, and you may not be (any longer) one of their first priorities. Evidently Sirius grew up enough to make his peace with James’s infatuation (and extend his devotion to two more people—Lily and Harry), but I’m sort of glad he wasn’t tested by Remus and Tonks’s marriage—that might have been too much for the post-Azkaban Sirius to handle. It’s kind of cool that Rowling, through that brief foray into the past, gives us this little picture of a strangely prescient Sirius. She has all of maybe seven pages to do it, but it’s important enough to his characterization that she slides it in there. It never ceases to amaze me how, with just the lightest of strokes, she adds to a character and gives her readers yet another facet to identify with. Now that’s truly incredible writing. Great plans in fantasy literature have a tendency to go wrong. This is not really through any fault of the heroes’—to give them their due credit, they slog on even when things go really, steeply downhill. Great plans go wrong in fantasy because, well, that’s how things often turn out (or don’t) in real life, and say what you will, a lot of fantasy’s power as a genre comes from its ability to spin out amazingly ‘real’ and true-sounding stories in universes and settings nothing like our own. But in fantasy, people, or events tend to show up and, sometimes, make the bad things go away, or salvage the situation before it is completely beyond repair. If done convincingly, this looks nothing like a deus-ex-machina, and instead segues smoothly into the narrative. Rowling is a master of this, and the character who perhaps best depicts this ability to just show up when needed is Sirius Black. The plotting of any novel requires precision, and I don’t think anything exemplifies this better than Harry Potter and the Prisoner of Azkaban. In my review of the book for Fantasy Book Critic, I stated that what really impressed me about this novel was the sheer intricacy of its plotting—how each character, each event and seeming coincidence had a function to play in the larger scheme. To me this is still the most tightly plotted of the Potter books, and a real treasure of the mystery genre. Given that Sirius found his way onto the stage proper in this book, it seems fitting that it be the most well constructed and (pun not intended) well-‘timed’ of its fellows. In an earlier post, I had celebrated Sirius’s unparalleled ability to love, and how I believe his unwavering, unconditional loyalty really defines his character. In that same post, I alluded to how his ability to just show up when needed, with no questions asked, is one of the greatest markers of said love for Harry. Sirius’s drive to drop all and be there for his godson is, to a large extent, simply a function of who he is—he is a dog, loyal, unquestioning, bound by feelings deeper than most around him would understand to someone he barely really knows. I think, however, that this tendency in him was probably exacerbated by ‘mistakes’ made early on in life, including that most crucial one of all: the decision to trust Peter over Remus in the first war against Voldemort. Enough and more fan fiction has been written speculating on why Sirius chose to trust Peter. 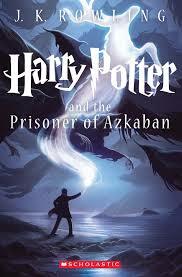 The most compelling reading, for me at least, is that Sirius, always so hopped up on his own beliefs and loyalties, would never have considered for a second that the same didn’t apply to one of those he had chosen to protect, unless he had, at some point in his life, betrayed that other person. Sirius’s childhood, whatever little we know of it, seems far from a warm and nourishing experience. When Sirius turned his back on his family, he appears to have done it without any intention of ever going back, asking forgiveness, or even giving them a chance to change and come around to understanding his point of view. In the case of the Blacks this was probably a judicious decision, given how most of them turned out, but it also cut out any prospect of reconciling with those who did—such as Regulus. (i) Sirius values loyalty above all else, and seems to believe, to a great extent, that others should do the same. ‘Then you should have died,’ he tells Peter in the Shack, ‘died rather than betrayed your friends, as we would have done for you.’ There is no other option for a ‘true friend’, in his mind. The only reason anyone might not remain incredibly, steadfastly loyal to someone they ‘should’ stick with is if they have been badly treated by those same people, as he was by his family. 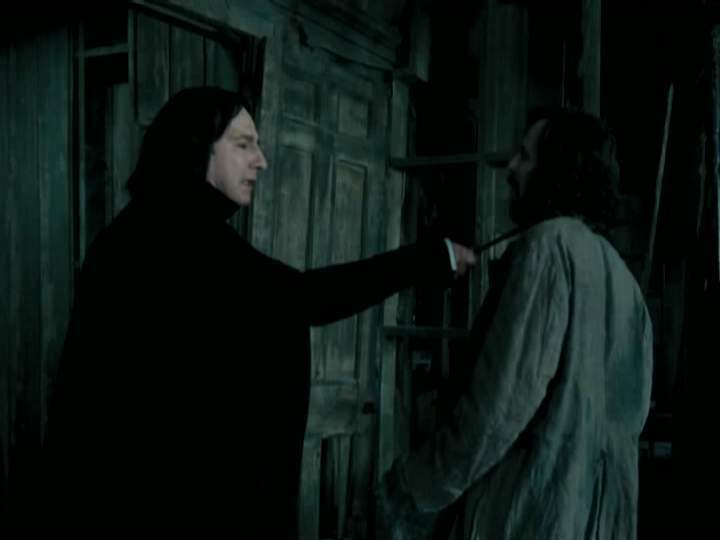 The infamous ‘prank’ involving Snape and the exposure of Remus’s secret could, in all fairness, constitute such a betrayal of trust and friendship, and thereby expose Sirius and his pack to the same sort of betrayal from Remus’s side. (ii) Sirius does not have great faith in people’s ability to change. This could be put down to the fact that he is the only adult character to have been actively disallowed from ‘growing up’, instead being frozen into an emotional mess at the age of 21-22. Sirius does not have the same sort of maturity and mellowness that most of the other adult characters (with the exception of Snape) seem to possess. It’s ironic that the two characters who seem to detest each other the most are actually in many ways the most similar—fiercely loyal to those they have sworn to protect and/or love and unable, very often, to contain their interactions and emotions in a mature fashion. They just have different ways of expressing that chosen loyalty. I also think this lack of ability to believe in change is a result of Sirius’s own unwavering nature. He perceives any sort of shift in his preconceived notions of how a person should be as some sort of betrayal—such as when Harry decides that the ‘fun’ of Sirius coming up to Hogwarts in Order of Phoenix is not worth the risk. At this point, Sirius coolly tells him that he is ‘less like James than [he] thought’, and its evident to Harry that he is, for the first time ever, upset with him. Peter, who had never been betrayed (as far as Sirius could tell), and had always remained faithful, could not possibly change—at least until he went and proved Sirius dramatically wrong. Rowling gives her characters amazing strengths—but she also does a very clever thing wherein she makes these strengths function as their weaknesses as well. 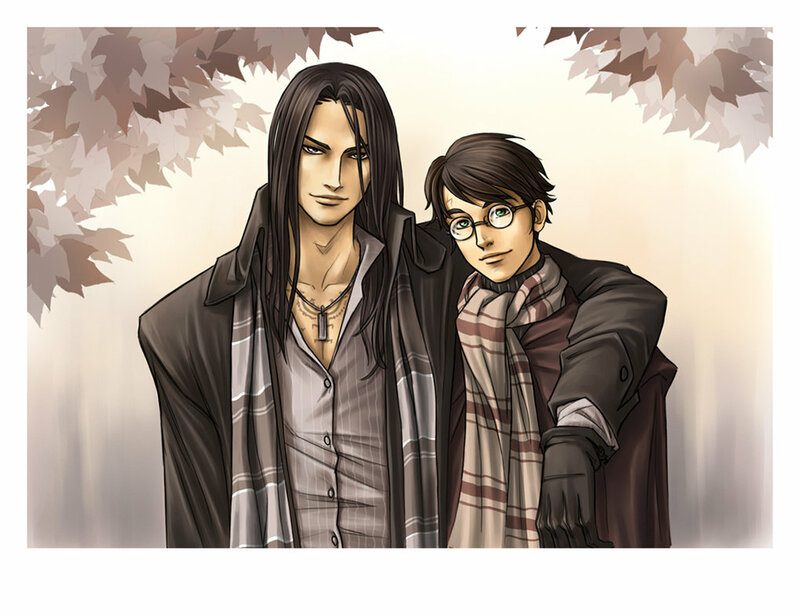 Dumbledore’s cleverness and skill and consequent pride proved his youthful undoing; Harry’s selfless ability to throw all aside and play the hero leads to the death of his godfather, Sirius’s stubborn and unwavering nature played a decisive role in the tragedy that marked his, and his godson’s, life. Loyalty has a price, and one slip exacts demands from Sirius, drives him to push himself ever more to be there for his godson. But hey, if it weren’t for that slip, we might not have had a series at all. Fair warning: This post presents some hard, cold truths about my absolute favourite character in the Harry Potter series and is the result of a lot of thinking and slow coming to terms with artistic decisions. As a result it might get rather, er, emotional. Herein I will discuss why Sirius Black had to die. When Sirius arched through the mysterious veil in the Department of Mysteries, it was no accident. Bellatrix’s jet of red light had been coming on for all of the fifth book, beginning its slow journey with the headquartering of the Order in Grimmauld Place. Sirius had all but been pronounced dead by the middle of Order of the Phoenix when he grimly tells Harry that he is ‘less like James’ than he thought. It’s the first sign of disagreement between the two, and it’s one that is never addressed in the course of the book. Sirius’s death was plotted, planned and very carefully orchestrated. In short, it was cold-blooded murder. Who was responsible for his demise? I have narrowed the list down to a few suspects, and we’ll examine their motives and methods in this post. Of course, I have my own very strong opinion on who dun it. Let’s see if you’re convinced at the close. I’ll deal with the most obvious suspect first. 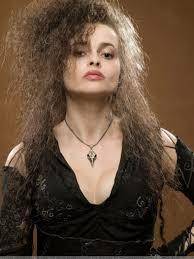 Who: Bellatrix Lestrange, wanted criminal high in the Dark Lord’s favour. Blood relative to the deceased (first cousin). Mentally unstable with a long history of violence. Why: As a trusted lieutenant of the Dark Lord, Bellatrix is known to have had little qualm in dispatching with enemy soldiers (witness the Longbottoms). Added to the fact that they were on opposing sides of the burgeoning war, Bellatrix quite possibly might have hated Sirius more because of their blood connection. We see in Deathly Hallows that she takes the marriage of Tonks and Lupin rather hard, swearing to kill them herself in order to avenge this stain upon the family. Certainly Sirius’s lifestyle choices wouldn’t have sat well with her. How: In the Department of Mysteries, Bellatrix duels Sirius before the Veil and fires the spell that sends him arching through it. Conclusion: Bellatrix has some strong evidence pointing against her. However, I would argue that she is merely the instrument of murder, not the one who made his fate inevitable. In the context of the book, it could very easily have been any other Death Eater (I think) who killed Sirius. Rowling, I believe, used Bellatrix because she needed to illustrate what a ruthless and skilled witch she was and taking down Harry’s beloved and dangerous godfather certainly cements her in the top rank of villains. Who: Slave to the Black family, Kreacher is the house elf who malingers in 12, Grimmauld Place, sullenly muttering under his breath about the worthlessness of his master. Kreacher has picked up certain conservative, pureblood attitudes from his mad mistress (Mrs. Black), and hence disapproves heartily of both Sirius’s presence in the house as well as the use to which he has put his beloved home. 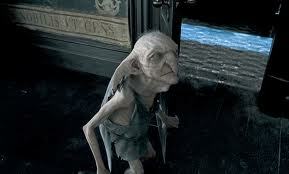 Why: As stated, Kreacher loathed Sirius. Sirius in turn loathed Kreacher. Neither of them seemed to make any efforts to make life easier for the other, with Kreacher only stepping up his insults and insinuations in Sirius’s presence and the wizard making no effort to conceal his distaste for the elf. Each is the living embodiment of the other’s worst memories. I would argue that Sirius is a constant reminder of Regulus to Kreacher, a reminder of the elf’s ‘worst’ failure. It’s no secret that they would both have gladly seen the other dead. How: Kreacher fed information to the Malfoys. Though unable to give away key facts such as the location of the Order’s headquarters or their plans, he did provide the Dark Lord a delectable tidbit: that Sirius was the person closest to Harry. This enabled Voldemort to lay the trap that led to his demise. Conclusion: By having Sirius meet his end at the hands of Kreacher, Rowling illustrates a telling point in the series: never underestimate anyone, even the lowest of the low. This is an old theme in fantasy fiction, well borne out by Frodo and Sam in Lord of the Rings. Kreacher, in this case, functions as an indicator of the strength of malice, a Gollum-like trait that leads, eventually, to destruction and furtherance of the plot. 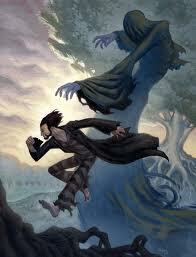 Kreacher certainly did play a large role in the eventual death of Sirius Black. Without him, the plan to lure Harry into the Ministry might never have succeeded. I somehow cannot imagine Harry taking the same reckless steps to save, say, Tonks or Kingsley, who are arguably more immediately ‘useful’ Order members that Voldemort would certainly have wanted out of the way. Kreacher, however, is merely an enabler (an important one, of course), an accessory without whose help Sirius might not have died at the precise moment at which he eventually did. He was not, however, the murderer. Who: Headmaster of Hogwarts, dethroned (at the time of the events) Supreme Mugwump of the International Confederation of Wizards, dethroned (at the time of the events) Chief Warlock of the Wizengamot, proud denizen of a Chocolate Frog card. 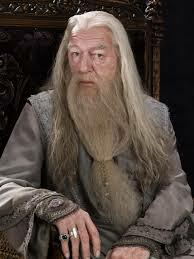 Why: Dumbledore is a master manipulator, as well evidenced by the revelations in Deathly Hallows. He claims, during his talk with a distraught Harry, that he had ‘forgotten’ the effect of confinement on active, brave young men like Sirius. He pleads guilty to the folly of ‘age’, but I’m really not buying it. Dumbledore is too smart to have not known what kind of effect confinement would have on Sirius, nor was he blind to the hatred that festered between him and Snape. Furthermore, Dumbledore would have had another reason for wanting Sirius out of the way; he was the final obstacle between himself and Harry. As long as Sirius was around, Harry would never turn to Dumbledore with the sort of all-encompassing trust that he displays in Half Blood Prince. With the ‘closest thing to a parent’ gone, Dumbledore becomes Harry’s first choice of mentor. How: As stated, all Dumbledore had to do (and did) was to keep Sirius under house arrest in Grimmauld Place. This was ostensibly for his own good, but it did drive Sirius more than a little mad. The resentment built up during these months manifests itself in Sirius’s alcoholism and his disagreements with Harry. Stifling an energetic, brilliant wizard surely did its bit in propelling Sirius out of that door and towards recklessness. Conclusion: Dumbledore created an atmosphere of resentment and pushed Sirius’s reckless nature to its limits with his confining strictures. There is no doubt that he did have a bit of a vested interest in getting rid of Sirius, and especially after Deathly Hallows I can’t quite trust his apologies and protests of ‘forgetfulness’. Dumbledore had a plan all along, and I think Sirius would have been a serious encumbrance to its fulfilment. Do you honestly think Harry would have been allowed to go off and be suicidal if Sirius had been around? He would have done whatever it took to keep him from throwing his life away, and might even have been successful. Without Sirius around, Harry had no really pushy, energetic soul to wean him from Dumbledore’s chosen track. While Dumbledore would certainly have welcomed Sirius’s demise and didn’t help with his house arrest regulations, I think we can’t peg him as anything more than a mastermind, not the actual murderer. He is, if anything, an accomplice, a master-abetter. He did nothing to prevent it from happening, but no, he is not the murderer. He closed his eyes to it (thus allowing it to happen), much as he closed his eyes to Grindelwald’s delinquency. It is, really, in keeping with Dumbledore’s weakness to do nothing and hence wreak even greater harm. 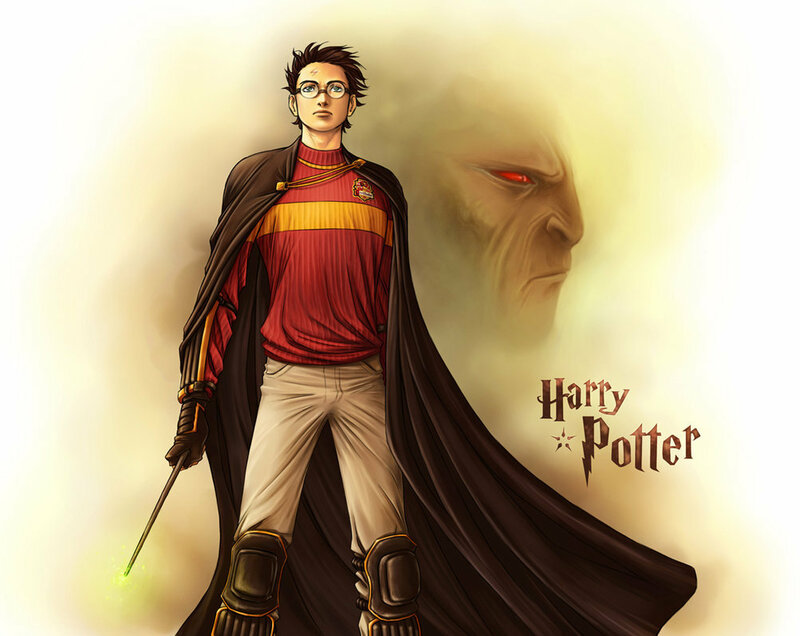 Who: Harry James Potter, son of James and Lily Potter, Chosen One, Gryffindor Quidditch Team Seeker, Boy Who Lived (Come to Die) and godson of Sirius Black. Has a history of causing death to innocent bystanders (Cedric Diggory, Lily Potter). Why: As Joseph Campbell established decades ago, every Hero undertakes a Journey that includes, usually, the loss of a mentor figure. The mentor must make way for the Hero; growth can only be achieved when the Hero undergoes this loss and learns to strike out on his own. Luke Skywalker lost Obi Wan, Rand loses Moiraine, Frodo loses Gandalf…the list goes on and on. Sirius is, at this point, the closest mentor figure Harry has (as established, he is not yet fully reliant on Dumbledore) and needs to be sacrificed in order for him to grow and stumble onward without protection. How: Harry is pretty much the reason Sirius was where he was when he died. Using his love for his godfather, Voldemort lured our Hero and his friends to the Department of Mysteries and then sprung the trap that resulted in Bellatrix killing her cousin. If Harry had not fallen for this illusion, if he had practiced Occlumency like he should have, Sirius might never have landed up at the Department at all. Conclusion: I do think Harry is a very strong candidate for the top position, if only because of the role Sirius plays in his life. The mentor figure must go, usually, and the moment Harry wrote to him in Goblet of Fire talking about his scar, the godfather’s chances of survival dipped drastically. But I really don’t want to blame Harry. The poor boy gives himself enough heartache anyway when it comes to friends dying (and Voldemort doesn’t help). And really, any mentor figure Harry chose would have perished; even Dumbledore and Remus don’t survive the onslaught of Literary Convention. There was something particular to Sirius himself that made his death inevitable, and that’s why I think this wasn’t really a murder case. It was art-driven suicide. 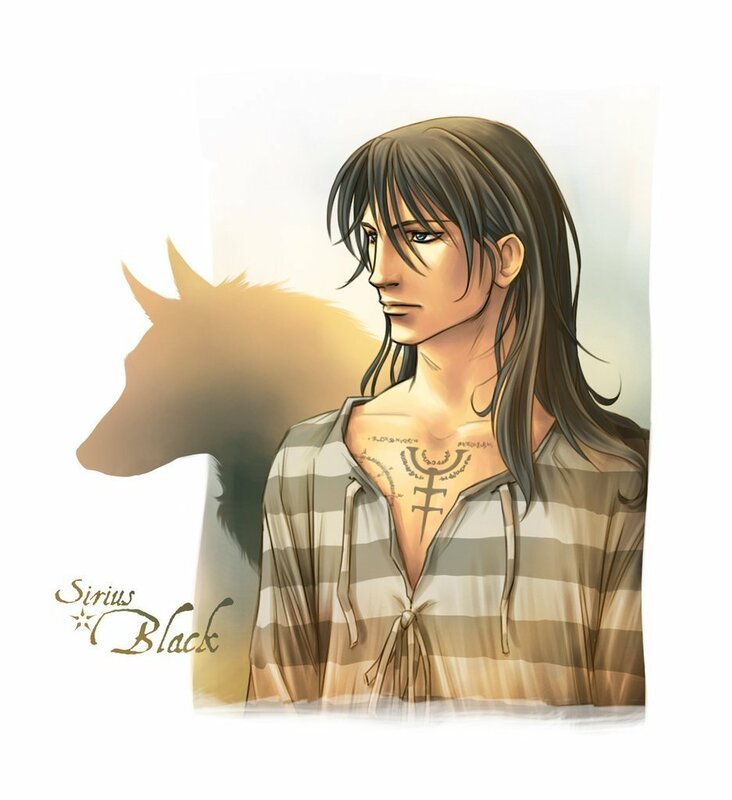 Who: Sirius Black, last surviving male member of the House of Black (Toujours Pur, please). Member of the infamous ‘Marauder’ gang that terrorized Hogwarts in its time, member of the Order of Phoenix, soldier in both the First and Second Wars against Voldemort, fugitive from Wizarding law. Why: It took me a while to come to terms with this, but if you have a character like Sirius, you really can’t help but kill him off. Look at him: he’s a firebrand. He’s a rebel. He’s amazingly defiant. He cannot be contained by rules. You need people like this in war situations, to inspire others, to function as suicidally-protective forces for more passive characters. But what would you do with them in peace situations? Can you honestly imagine him marrying and living happily ever after? Sirius was wrecked already by twelve years in Azkaban, to get him to embrace conventional domesticity, as every other character in the Potter books does at the close, would have been impossible. Rowling had to tie her series up neatly, and I somehow don’t see a half-mad Sirius fitting in well here. Not only was Sirius as a character untenable in a peaceful wizarding world, but I sincerely doubt the hunt for the Horcruxes and Harry’s final suicidal stand would have been at all possible if his godfather were around. It’s one thing to dissuade Lupin from joining them on the mad hunt; Sirius was a much more aggressive character and would probably not have been thrown off so easily. Would the hunt have panned out the way it did if Sirius has come along? The power of friendship would not have been so wonderfully demonstrated if it were not just the Trio (the reason Ginny couldn’t have joined either) and Harry and company had to literally be on their own and rudderless; the addition of a parent figure would have undercut the weakness of their position and the pure faith and friendship their rather hopeless-seeming quest exemplified. As a more experienced wizard, Sirius’s presence would have strengthened their group and thus, paradoxically, weakened them as a narrative unit. And finally, Harry’s suicide. There is no way in hell Sirius would have stood aside for this. It’s one thing to walk away from Ron and Hermione, but Sirius, who had literally no one else to live for (unless you ship Remus-Sirius, which I do), would never have let his one anchor to sanity and love walk away to die, even if it were for the good of the wizarding world. Similarly, I don’t think Harry would have been able to walk away from Sirius, who would, by this point, have probably become even more of a parent figure for him. Harry was able to make the sacrifice he did because he did not, at this point in the series, have anyone to really live for. He can even imagine Ginny marrying someone else, much as it pains him. Everyone else in the books has a future without him, no matter how hard. Sirius? No. Way. To make Harry a hero, to save the wizarding world, Sirius Black had to die. It’s the sad truth. And it’s why, to me, he’s the biggest hero of them all. People have stressed this often: the Harry Potter series is all about the power of love and choice. Often, it is about how love dictates choice. The greatest example of that is probably Severus Snape who, we’re led to believe, changed sides from ‘evil’ to ‘good’ because of his love for Lily Evans Potter. You choose who you become, you choose your fight (the difference between being ‘dragged into the arena and walking in with his head held high’ that Harry reflects on), unless, of course, you are Lord Voldemort. There’s all sorts of examples of all sorts of love in the Potter books, and all of them are of varying degrees of intensity. Familial love, as most well-evidenced by the Weasleys and (I insist) the Malfoys; romantic love in the form of Ginny and Harry and Remus and Tonks and umpteen other couples; platonic, ‘friendly’ love exemplified by the Golden Trio and a more abstract, universal agape that is the province of Harry in his final stand against Voldemort. I would love to dissect all these examples, but in this post, I’m going to focus on what, to me, seems the most intense, powerful and selfless form of love in the books: the love of Sirius for Harry. I know this is a bit of an unconventional choice, given that Lily’s ‘sacrifice’ is usually touted as the be-all and end-all of selfless love. While I certainly admire Lily for her willingness to die for her son (with no idea that he would live because of it), I think that she really, honestly, didn’t have a choice. I don’t think Lily ever believed that Voldemort would let her live, despite his commands for her to ‘stand aside’. She had no reason to think that he would show her mercy, given that she has ‘thrice defied’ him and is one of the core members of the Order of the Phoenix. She would have been silly to trust to his words. And even if she had listened and stood aside, she would probably have been unable to live with herself. Besides, Lily’s is not the only example of a mother’s sacrificial love for her children. In Deathly Hallows, Voldemort kills a family when he is hunting Gregorovitch. We are told the woman ‘spreads her arms’ as though to ‘protect’ the children behind her. Technically, she also dies in the hopes that they may live; perhaps she was expecting them to escape in the fleeting moment of her death. In a manner, she also dies for them, protecting them. Yet, this ‘sacrifice’ accomplishes nothing. 1) Sirius was in Azkaban for 12 years. Not only was he thrown in here unjustly, refused a trial, but he was also a ‘high security’ prisoner which, I’m assuming, meant that he had more dementors around his cell than most other people in that hellhole. 2) From what we’ve read of the dementors’ effects on a person, being near one is an awful lot like suffering clinical depression. You are constantly forced to live out the worst experiences of your life, again and again and again, it seems impossible to find the will to live or change what you are hearing, and the only way to combat it is to force yourself to be cheerful. And eat chocolate, which is a known anti-depressant. 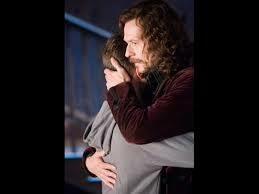 Sirius, like his fellow prisoners, could be said to have suffered major depressive disorder for nearly twelve years. That is a long, long time. 3) Sirius kept himself from ‘going mad’–I would assume that means losing touch with reality and ‘retreating into [himself]’ the way many other prisoners do—by holding on to a thought that was ‘not happy’, the knowledge that he was innocent. While this no doubt held as an anchor against the dementors (‘they couldn’t take it away’), it would still not have ensured a healthy mind. Rather than becoming depressive, Sirius became dangerously obsessive, using his hatred of Peter as an anchor on which to rest his sanity. The fact that he muttered ‘He’s at Hogwarts. He’s at Hogwarts’ even in his sleep shows the extent to which he had shored his mental balance upon the idea of revenge. 4) Sirius conceivably escaped from Azkaban because of this obsession; it gave him the strength to transform and the will to live in a place where nothing else could. His mission is not so much to rejoin the world and become a citizen of it as it is to find and kill Peter for what he did to the Potters. That is why he heads to Hogwarts and breaks into the castle. 5) In spite of this overriding obsession, in spite of the fact that he stayed mentally grounded in hellish circumstances by basing his entire existence on this one desire, Sirius gives it all up when Harry asks him to. I want you to consider the magnitude of that sacrifice. For Sirius (and Lupin, to a lesser extent), Peter is the reason their lives fell apart so spectacularly. Twelve whole years of Sirius’s life were defined by what Peter had done, and those twelve years were also, perhaps, made a trifle more bearable by the knowledge of it. And yet, when his godson asks him to give it up, to let him go because his ‘dad wouldn’t have wanted his best friends to become killers’, Sirius lowers his wand. Honestly, I don’t think I would have had the presence of mind to do that. I don’t picture Oldman when I picture Black, but the sentiment is expressed clearly here. Sirius pretty much replaces his obsession with revenge with a deep and unconditional love for Harry. His regard for Harry is not really surprising, given his reported love for James and Sirius’s own supremely loyal nature. I think the only point at which Sirius really comes close to breaking is when he is cooped up in Number 12, Grimmauld Place. The house does to him what twelve years in Azkaban did not manage to: drive him slowly but surely around the bend. He resorts to alcoholism, littering his table with Firewhiskey bottles and carrying around a ‘distinctly Mundungus-like whiff’ of spirits. Even then, his first thought is for Harry. When Harry needs him, Sirius rushes out of the house and barrels into the Ministry, regardless of his personal safety. You could say that this is because of his ‘reckless’ nature, his need to be doing something for the Order. But even if it is, to a certain extent, informed by this need to be in action, Sirius’s rushing out of the house and to Harry’s side is consistent with previous actions. When Harry is in trouble, he will do anything to make sure he gets out of it. Therefore, it’s unfair to pin the onus of that particular action totally on his need to expend energy. In fact, I believe that Harry’s later insistence on it being Snape’s fault that Sirius risked himself is a form of self-defense, a walling off of the fact that it was really, ultimately, for Harry’s sake. This defense mechanism is, again, consistent with Harry’s refusal to let other people die ‘for’ him in Deathly Hallows. He knows it’s what happened with Sirius, and the pain of that knowledge ensures that he will do his best not to let it happen again, going (literally) to suicidal lengths to make certain of this. We know that Sirius’s love for Harry is reciprocated. Even Voldemort knows that ‘the one person’ Harry would literally do anything to save is his godfather. This is what he picks up from Kreacher, from the Malfoys. Sirius is the ‘closest thing’ to a parent that Harry has: he’s the first person Harry thinks to write to when in trouble, he turns to him for reassurance and support in times of moral dilemma (such as when he witnessed Snape’s worst memory), he trusts him within a few hours of meeting him. After his death, Harry is unable to really talk about his passing with anyone, the closest he comes to it being a brief conversation with Luna Lovegood. We know however, from vague references in Half Blood Prince, that Harry is nowhere near close to healed; every time Sirius is brought up in conversation, Harry closes the subject off and casts about for something else. If not, his friends do it for him. Why I call Sirius’s love selfless is for the reason I’ve underlined again and again in this post: many of the actions he performs for Harry give him absolutely no advantage, nothing in return. He gives up a quest for revenge (which, as I have pointed out, is no ordinary quest, as far as such things can be ordinary), centres his life around a boy he’s met only a couple of times and then dies for said boy, all to ensure that he remain protected, safe and, most importantly, happy. That last is, really, the only reason I can see Sirius letting Peter live in that one pivotal moment in Azkaban. It would make Harry happy. You are so loved, Harry. So loved. I think Sirius, more than anyone, highlights the truth of those words. It’s been more than a year now since I began posting to this blog. A lot of things have changed in that time, both for me, personally, and the wider world. Some things haven’t, such as the fact that I have scarily intense relationships with characters in fantasy novels. Perhaps the most ‘intense’ of those is the one I share with the man my blog is named after. I have been planning to write about Sirius Black for a long while, but have been defeated each time by a feeling of inadequacy. It’s hard to write about something even you don’t understand, that many people around you find ridiculous (for good reason), that you expect yourself to grow out of. So I tried to assuage my need to write about this character by channelling it into watertight, specific aspects of his presentation: in a post where I compared him to Jaime Lannister and called him a Poor Little Rich Boy; in connection with the larger theme of slash fanfiction; moaning about how I couldn’t find good Wolfstar fics. I did scrawl a Facebook note on him once, fuelled mostly by adrenaline (my exams had just been postponed and a friend dared me to do it) and called it a ‘Manifesto’, but I have never sat and attempted to write a serious piece on what he means to me. Yes, I’m sure I’ve a lost a good number of my readers already. ‘Fangirl’, you’re snorting. What on earth is a twenty-four year old doing writing about a silly crush she has on a fictional character? I wonder myself. But I’m hoping, through this post on Sirius, to find something vaguely profound in this whole matter. Like my beloved Wheel of Time books, the Potter series saw me through high school and into college. Harry and company were as important to me as my closest friends, seeing me through the ups and downs of adolescence and into adulthood. Harry and I probably experienced our first major crushes at the same time. Unlike him, of course, I was a lot more articulate about asking people to go to the ball. My first ‘love’ in the Potter books was, predictably, Harry himself. I felt that here, at last, was a boy who got it, who knew what a hassle growing up was (I’ve alluded to this cosmic connection between us before). I remember wishing, fervently, that Harry would somehow magically step out of the books and find me and we would have amazing adventures together. It’s embarrassing to admit that I had these daydreams till I was as old as sixteen, but that’s the burden of being a fantasy and book-crazed teenager. Harry Potter and the Deathly Hallows came out in the first week of my undergraduate life. The timing was wonderfully symbolic—as Harry died and came back to life, a part of my own journey ended and a new one began. I put him away with some amount of grief and annoyance (he had married Ginny and not me, after all), and didn’t think about him very much until three years later, in the first year of my Masters’. Postgrad was a tough time for various boring and petty reasons which I will not go into here. Sufficeth to say that what prompted me to pick up the Potter books again was a combination of nostalgia and a desire to escape to what I perceived to be a ‘simpler’ time. When I was living it, of course, school had hardly seemed ‘simple’, but everything looks better from a distance. It is known. Instead of finding a blandly comforting story, my re-read of The Order of the Phoenix, Half Blood Prince and Deathly Hallows threw up a bunch of questions which have prompted a number of posts on this blog. Additionally, the re-read showed me that my interests had shifted considerably. I was no longer in love with the Boy Who Lived. I was in love with Sirius Black. Now, a number of people have asked me what on earth I find so compelling about a less-than-major character. One friend, on seeing my ‘Sirius Play-list’ stuttered that perhaps an immense amount of fanfiction reading had clouded my perception of Sirius, built him up into something more than canon supports. 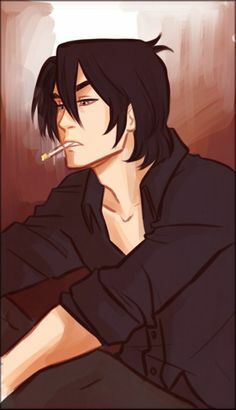 Another said that Sirius was the stereotypical ‘cool guy’, and that while I was fascinated by the idea of him, I would hardly be able to tolerate him if he were to suddenly appear before me. I will concede points to both friends. True, the amount of fanfiction I’ve read probably has done its bit to bolster Sirius’s image in my eyes. And true, Sirius would probably have been too loud and ‘obnoxious’ for me to consider getting to know (if we had gone to the same school). Post-Azkaban Sirius, however, would have been a completely different person and one that, I think, I might have gotten along with. We could have been broody and angsty together. But let’s not waste time thinking of what could have been. Anyone who’s read the books knows why Sirius is eminently crush-worthy, so I won’t go into it here. It’s not any of those immediately apparent things that pull me towards him, though—not his gorgeous looks, his fierce intelligence or his tragic air. Instead, it’s what I like to think of as his defining trait, one that really jarred me out of my slump of despondency when I re-met him. I’m talking, of course, about his fantastic sense of defiance. Sirius Black is, above all things, a rebel. Smack him down, and he will surge back up, twice as eager to prove himself. Lock him up in a soul sucking prison for twelve years? He will quietly and inconsiderately refuse to make things easier for you by going mad. Station dementors around the campus and the neighbouring village with the sole aim of catching him? He’ll sneak right past them and make himself at home as a loveable stray. Tell him he can’t come out of house arrest to save his godson? He’ll cavort about in the heart of the Ministry of Magic and duel Voldemort’s ‘lieutenant’. In a godfather, this sense of defiance is, at times, lamentable. Sirius can’t very well hope to keep a raging Harry in check if he can’t live by the rules himself. Removed from his context and seen as a peer rather than a mentor, however, Sirius’s irrepressible spirit becomes a very attractive quality. And yes, in case you were wondering, it was three years ago that I started seeing him as a peer rather than an older, removed ‘adult’ character. Now, I never considered myself the kind of girl who liked ‘defiant’ people. At least, not those who are loud about their defiance. Remus Lupin was more my ‘type’, I thought. He was academic, he was insecure and yet sort of quietly steadfast, and he was morally complex. For the record, I don’t subscribe to the ‘opposites attract’ theory either, so my regard for Sirius really was sort of random. Except it really wasn’t. In the grand ship known as me-Sirius (ha! ), context was and is everything. When had I found and latched on to him? When I was in some sort of transition period, when I was at an emotional and personal low. I needed energy and inspiration and he, with his half-crazed sense of freedom and unwillingness to just shut up and live by the rules, gave it to me. Would I call him a knight in shining armour? Yes and no. Yes because I am a romantic and, despite my enlightened feminist views, I still like to picture a handsome young man sweeping up on a horse (or a flying motorbike) and whisking me away on dull days. No because, let’s face it, Sirius, for the duration of readers’ acquaintance with him, is not in a position to be saving anyone but himself. Also no, because, as we all know (and I assure you, I know as well), he is a fictional character and hence, any inspiration he brings about generate, finally, in me. It’s what I make of him and the way Rowling has presented him, after all, that really matters. I’ve moved past the drama that drove me to Potter, but my regard for Sirius and what he represents endures. He taught me a very important lesson when I needed it: trust yourself even if you can’t rely on anything else. The world gets dark, it gets depressing and ugly, but screw that, he seems to say. Screw that ‘gentle night’. Sirius rages, always rages, against the dying of the light. I felt like doing something silly and light, so here I’ve compiled a list of songs that remind me of Sirius Black. Yes, I do have a playlist on my ITunes called ‘Sirius moods’ (no pun intended), which I listen to when I’m feeling particularly in love with this character. It’s a collection of rather random pieces of music, which fit, in my imagination, with different parts of his life. You’re welcome to try the list and tell me what you think. Warning: some of it is rather, well, teenybopper and/or angsty. Then again, so much of Sirius’s life is/was angsty, so I think I’m excused. Have you listened to the words of this song? It’s all about someone who’s running away. I was in the midst of a pile of running-away-from-home Sirius fanfic when I discovered One Republic, and I thought it fit so well. Coupled with the fact that he eventually returns to his home (albeit, not willingly), I’ve sort of imagined him as Rowling’s retelling of the Prodigal Son tale. This song magical and dreamy and talks about flying above the world while everyone sleeps below. Is there anything more appropriate for a Potter love-song, or a gentle lullaby while Sirius steers his bike among the clouds? There’s even talk of monsters arising and facing the air-walkers. It’s a gentle song, and the waifish voice makes it even more Potteresque to my ears. This song has, for me, very specific association. I was reading the third instalment of the ‘Sacrifices Arc’ by the immensely talented Lightning on the Wave when I was on an Evanescence backtrack, and came across this, one of their lesser-known songs. ‘Darkness Comes Before morn’ is pretty loaded with Sirius, and the angsty pull of the lyrics, I thought, captured his presentation perfectly. Sirius, whether in the Potterverse canon or its fanfic, is often tortured and bound by the weight of his history and/or blood and much of Evanescence’s haunting music suits him. ‘Even in Death’ is another favourite, encapsulating what I believe Lupin feels post Sirius’s death. This doubles as my ode to Theon Greyjoy, since it talks about falling apart and yet persisting in the long and determined fight. Both characters fall to pieces, see the world in shades of grey (cue Sirius’s advice to Harry and Theon’s long climb to sanity from his Ramsay-inflected madness), and redeem themselves despite being discarded as traitors. I agree that Theon is actually guilt of betrayal, but hey, his terrible torture makes up for it. ‘Is this to be our fate?’ Pigg asks at the start of this song. When I think about the kind of boys the Marauders were in Hogwarts, I have no doubt that they are amazed at where their lives led them. There they were, four shining boys, the (seemingly) perfect quartet, and then a little more than a decade later, one is dead, one is on the run for a crime he didn’t commit, one is an out-of-work werewolf and the last is a servant of the Dark Lord. And yet, there’s a sense of defiance in this song, an acceptance that if this is the terrible way things were supposed to go, there’s no regret at the close. Instead, the close is where ‘life begins’, echoing Dumbledore’s assertion that ‘Death is but the next great adventure’. Calm after the storm of Sirius’s life, I need comforting music when I close the covers of The Order of the Phoenix. This piece provides a quiet close to the chaos of emotion that Sirius’s passing generates in me time and time again. 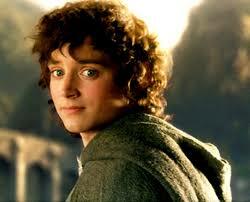 I like to think of him walking away into the sunset, his handsome face no longer ‘ravaged’ in death. I know the song is about a girl, but the theme is pretty universal and no-gendered. Someone has a crappy life that doesn’t fulfil any of their expectations, so when they dream they go away into a personal paradise. Sirius’s life is pretty crappy. I would imagine he expected the world when he was young, only to have it fly out of his reach when he grew older and things fell apart so spectacularly. This song not only constructs a world to escape to, it always evokes, for me, an image of Sirius getting on his bike and riding off in a storm, hallooing across the billowing waves. Yet another goodbye-to-life song for Sirius Black. I do need a lot of uplifting music to get over the end of Book 5. It’s a little disturbing. It’s much more upbeat than the others I’ve listed and different from them in that it questions the idea of Sirius as ‘human’ at all, as a real person, instead bringing in the notion of him as a character whose ‘sign is vital’ but whose ‘hands are cold’. Are characters real if the book they’re housed in is not read? These are very profound questions that I’m not in a mood to answer. Sufficeth to say that I like the idea of a ‘dancer’ who moves through his host pages, twirling emotions and ideas in his wake. When everything fades away, there’s still the stories we tell and the characters we celebrate. Come rain or shine or hailstorms of despair, the characters we love are always there to shine a beacon of hope, of inspiration, be a comfort. I’ve lost count of the number of times I’ve turned to a familiar book to hold myself together when particularly upset, or smelled its pages to remember ‘yesteryear’. As evident from my blogposts, Harry Potter is one of the series I’ve dipped into more than once, for various reasons. Yes, every re-read yields something new, but it also acts as an anchor, a reminder that the more things change, the more some things, including great stories, remain the same. The ones we love never truly leave us. What do Jaime Lannister and Sirius Black have in common? A lot, it turns out. They’re both very rich, from proud, aristocratic families (which are very powerful in their respective worlds), firstborn sons with great talent and wit, and, of course, wonderfully handsome. They also turn out to be parental disappointments, trust the wrong people and suffer terrible trials that cause them to question the very foundation of their worth. And yes, they have ‘sons’ who know nothing about them for a very, very long time. The PLRB, in my opinion, is popular culture’s response to the Manic Pixie Dream Girl, painting a picture that few ‘real’ men could ever hope to live up to. Movies, books, TV shows are rife with this character- just sit in thought for a few moments and you’ll be reeling off a string of names: Chuck Bass, Christian Grey, Gawyn Trakand, Evan Chambers … While the details of their insecurity and weakness might differ, they share some traits including the notion that they have and will always continue to disappoint someone in the course of their (seemingly) empty, worthless lives. Of course, this is remedied in the case of Chuck and Christian, but poor Gawyn damns himself and Egwene because (spoiler) he can’t get over his Rand-inflected inferiority complex. As for Evan, he was left alone at the end of GREEK, the only character who had nothing specific to look forward to. In this post, I will examine what makes the PLRB such a compelling character, especially its manifestation in the form of Jaime and Sirius. Certainly a great deal of their allure comes from the fact that they have all that is normally associated with a ‘successful’ person: they’re rich, handsome, smart and very good at what they do, whether it’s swinging a sword or firing spells and planning pranks. At the same time, they are enormously vulnerable, whether because of love, lack of it, or their spotted, not entirely deserved reputations. Let’s begin with Jaime. When we meet him in A Game of Thrones, there seems little to like about him. He’s ‘golden’ and handsome, true, but he’s also the treacherous ‘Kingslayer’, the man who slew the ruler he was sworn to defend. A few pages after he rides onto the scene, he throws a six year old boy out of a tower and cripples him for life. After this he disappears, returns to wound honourable Ned Stark, and then is only seen again when in chains before the righteous Young Wolf. If you came to A Song of Ice and Fire as I did, fresh from a world where characters in fantasy books were good or evil, no doubt your head spun when you reached A Storm of Swords and found yourself listening to a man you had decided to hate two books ago. When I first read ASoIaF, the TV series wasn’t even a whisper on the horizon, and so my experience of Jaime (in those first two books) was in no way as well-rounded as that of readers who came to him through the show. In A Game of Thrones , producers and scriptwriters don’t stay inside a few chosen characters the way Martin does—they present a more omniscient perspective, and so we get to see a less than wholly evil Jaime right from the start. Instead, Nikolaj Coster-Waldau plays a man who wears his spotted reputation with a mixture of pride, resignation and a careful layering of carelessness. He ends the famous declaration ‘There are no men like me. Only me.’ with a half-grimace, underlining the character’s peculiar solitude and consequent loneliness. Coster-Waldeau presents a Jaime never entirely certain of his father’s regard for him, the scene in Tywin’s tent is Season 1, episode 7 (‘You Win or You Die’) being a great example. This scene does not take place in the books (at least, we are never witness to it), but serves, in the show, to begin building the figure of a man who is not entirely inhuman, even if he does do some monstrous ‘things’ for ‘love’. It’s this lingering sense of honour, of idealism that sets Jaime apart from his twin and his father and makes him similar to Tyrion. For all his devil-may-care swagger, Jaime does set some store by what others think of him—how else does one explain the bitterness that coats his words every time he speaks of ‘honourable’ Eddard Stark and his quicksilver judgments? The strange ‘honor’ that Jaime possesses, that he slowly builds upon in the course of the books, emerges when he is divorced from his family and forced to confront the seamier, less than gilded side of Westeros. Once he is disowned by his father and heads into the riverlands and back to the warfront, the transformation of Ser Jaime is nearly complete. Post-capture, Jaime begins to lose some of his swagger and thus begin his journey to ‘likeable’ character in the books. Just like Jaime, Sirius too is brought up as the firstborn son and heir of a rich and powerful house, one that holds certain beliefs that often seem to put it at odds (at least, in the years the Potter books are set in and make extensive reference to) with the rest of the wizarding world. To the Blacks, duty to family and bloodline is above all, as enshrined in their motto, ‘Toujours Pur’. Sirius’s breaking of Black family tradition via Sorting into Gryffindor house only marks the beginning of his stated (and canon-supported) rebellion. At the age of fifteen, he famously runs away to join another family (though he never formally changes his name), marking his clear emergence on the ‘right’ side. Like Jaime, however, the stain of Sirius’ blood/actions never quite leaves him in the text. Misapprehended as the Secret Keeper for the Potters, Sirius is jailed for twelve long, harrowing years and publicly maligned as a traitor of the worst kind. He is never exonerated during his lifetime, forced to hide and ‘escape justice’ for three years on the run for a crime he never committed. The chief reasons for the easy tarnishing of Sirius’s reputation lie, I believe, both in his family’s reputation and his own actions in Hogwarts. As Severus Snape bites out, ‘Sirius Black proved he was capable of murder at sixteen’. Though it’s never stated in the books outright, I believe this was a reason, however slight, for Dumbledore, McGonagall, indeed, most clear-thinking characters’ easy acceptance of his ‘guilt’. Another factor that constitutes a large part of both characters’ portrayals is their relationship with their younger brothers. Both Jaime and Sirius ‘abandon’ their forebears’ definition of family duty to pursue their own goals: Jaime as a member of the Kingsguard and Sirius as a fighter for the ‘blood-traitors’’ side. As stated earlier, at the start of the books, Jaime does not come across as anything other than a dutiful son (chiefly because we do not actually get to look into his head in this section of Martin’s saga). He loves his brother, his worry for him driving him to recklessness and sparking off violence in the heart of King’s Landing. 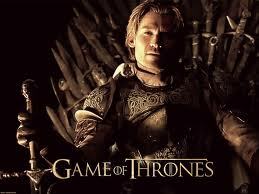 Tyrion himself often thinks of Jaime fondly in the first three books. 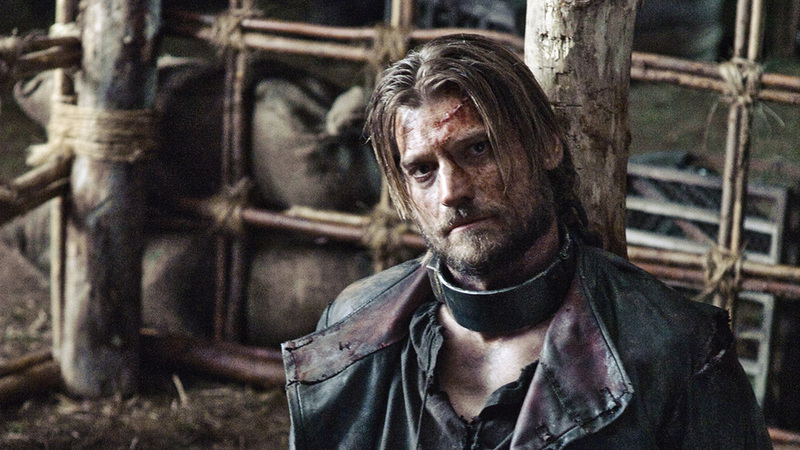 The regard comes crashing down only when Jaime reveals his own part in the tragic tale of Tysha. At this point, Jaime has already broken from Tywin; this act leads to a schism in his relationship with his brother, one that I am not sure they will ever be able to repair. Though barely glanced at in the text, it is implied that Sirius too failed Regulus, abandoning him to the manipulations and overbearing nature of his parents. Sirius speaks of his brother with bitterness in The Order of the Phoenix, implying that he was a low-ranking coward who didn’t even have the sort of twisted bravery that would carry him through his chosen service with the Dark Lord. 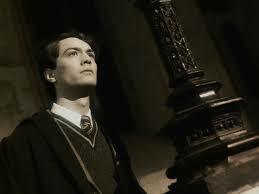 We have no way of knowing whether he ever tried to persuade his brother to abandon the Black beliefs after he ran away from home, but given the Marauders’ general attitude to Slytherins and Sirius’s overwhelming bitterness towards his family, we can assume that whatever attempts he might have made were feeble and, above all, unsuccessful. At least as far as Sirius knew. Yes, I’ve already referenced this quote earlier, but I think it’s a perfect summation of the presentation of both Jaime and Sirius in their respective universes. Is there anyone quite as handsome, as well-bred, as good with a weapon or as misunderstood? James Potter may have stood in close competition with Sirius, but the former’s early removal from the series ensures that all we have of him is hearsay (and the occasional jaunt down Pensieve-lane). Besides, the ‘Potter’ name doesn’t seem to have quite the power and dark magic that ‘Black’ has attached to it, the same way ‘Lannister’ sounds a deal more heavyweight than ‘Tyrell’ in Westeros. Jaime and Sirius’s life choices ensure that they do not follow the ‘conventional’ paths, i.e., marry and settle down to produce equally wonderful children. However, they both do have ‘sons’ (and in Jaime’s case, a daughter as well): Joffrey, Tommen and Myrcella for Jaime, and a godson, Harry, for Sirius. Neither of them is there for their children for much of their lives. For Jaime, this is a safety issue, where his very life, his sister’s and the children’s depends on the continued belief of the masses (and the king) that the children are Robert’s. For Sirius, this is because of his being locked away in Azkaban. Even later, however, Harry reflects rather ungratefully (in a throwaway line in Deathly Hallows) upon how ‘reckless’ a godfather Sirius was, hoping that he himself will not be such to Teddy Lupin. Personally, I found this reflection rather astonishing, given Harry’s immediate reaction to Sirius’s death was to blame himself for his own hastiness and willingness to succumb to Voldemort’s trap. The reading of his death as a result of his own recklessness was something I would have assumed Dumbledore would make, not Sirius’s beloved and adoring godson. Speaking of recklessness, can we forget Jaime’s impetuous wounding of Ned Stark? Or indeed his shoving of Bran out the window? Both are the result of his ‘unthinking’ quickness, a characteristic that Cersei laments and Tyrion cannot afford. Jaime is ‘reckless’, he stabs first and thinks about it later, he cannot be ‘serious’ about anything precisely because, up until his maiming, things come so easy to him. In the world he inhabits, he does not have to wonder about his ability to succeed. Neither does Sirius. This is why they are able to treat combat and perilous situations the way they do: with a laugh, a jest and a casual grace that others cannot hope to achieve. They have everything, as I’ve no doubt underlined multiple times. They have everything that would make for unparalleled success in any context. And yet, they don’t find it. And that’s why they work. I had the misfortune to brush through a terrible ‘fantasy’ novel some months ago, where the protagonist was a well-toned, intelligent, handsome man who ‘fought’ to find release. Within a few sentences, I hated him. He was too self-confident (even while being presented very obviously as a flawed and under-confident being), too successful, too together. No one wants a hero you can’t sympathize with, especially in a fantasy novel, where everything else is supposed to be sort of alien anyway. So what makes these particular near-perfect characters, Jaime and Sirius, work? One reason, I think, is because they are not the main characters. Though Jaime is a viewpoint in A Storm of Swords and the books that come after, he is one among many voices and, he is not one we have been with from the start, as in the case of Jon Snow, Danaerys, or Tyrion. The Harry Potter books, of course, are written primarily from Harry’s point of view, and Sirius ranks far below characters like Ron and Hermione and Neville in terms of screen-time. We don’t see too much of either of these figures, a fact which, I think, makes them more attractive and less jealousy/cringe-inducing as was the case with the earlier mentioned character. Besides, Martin and Rowling are far better writers than that guy was. Second, I believe the manner of their introduction has a huge part to play. Both Jaime and Sirius are presented first as ‘bad guys’, and it’s only later that we learn the stories behind their supposed crimes. The readers’ initial dislike or negative impression of them is slowly corrected only after surprising and thought-provoking revelations, which raise complicated questions about duty and loyalty. It turns out, surprisingly, that these guys were placed in hellish situations (especially in Jaime’s case) and tried to make the best of what they were offered. I think our surprise at their ‘good guy-ness’ and the revelation that we, the judging readers, have also condemned them without hearing the whole story, does a lot to help us forgive them their Rich Boy angst. We are now eager to make them understand that we are different from their dense, unmoved peers. We hear them, we see their ordeals, we appreciate what they’ve been through. We are now there for them, heart and soul. This finally, is what makes characters like Darcy, Christian Gray, Jaime and Sirius tick—the readers’ desire to be forgiving and benevolent, to hand out comfort to those who are otherwise misunderstood by their own society. We are all a little bit like Sansa Stark in that way—these ‘monsters’ won’t hurt us because we know their weaknesses and unlike the rest of the mileu, we understand them. We know the real Jaime Lannister, we see past the glamorous exterior of Sirius Black, we really have the power to forgive them their stupidities and mistakes. I think it’s that, really, that makes these characters so seductive. The idea that, no matter how perfect they are, they have weaknesses that only we as readers are privy to and can forgive. It’s hard, if not impossible, to exert the same kind of power in real life—all the glamorous, powerful people are not waiting for you to come to them and assure them that everything is okay. Neither would they be supremely grateful for it. But these guys—they’re all ours to forgive and love. And everyone knows that in fantasy, it’s the forgiver who’s the real hero at the end of the day. * I haven’t included Tyrion in this definition because he does not have the same physical and social advantages that these Rich Boys have. He’s a Poor Little Rich Boy with a lot more problems than these guys could ever dream of. I finished a long, wonderfully well written Harry/Draco fic last night, and caught myself wondering why, in the mad bad world of HP fanfiction, with its multitude of pairings, I read mostly slash. And not just any slash. 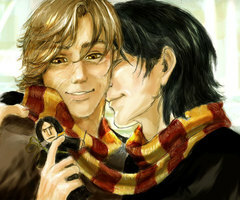 My favourite, as mentioned before, is Remus/Sirius slash. I have read the hell out of this pairing, and despaired for a time, thinking that I had read it ALL, but luckily the internet reminded me that it is a bottomless pit of time-wasting-but-super-entertaining literature, and threw a couple of gems my way. These have been bookmarked and categorized for a later time. 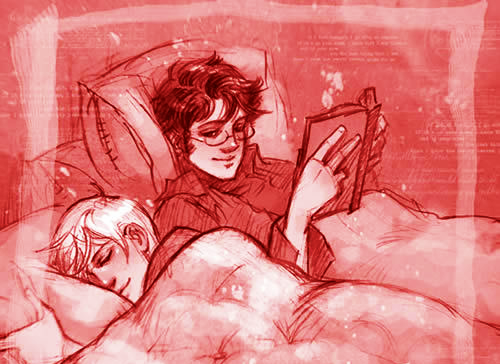 Apart from Sirius/Remus, I read Harry/Draco. I suppose this is because a) there is so much out there for this pairing, and again, you are unlikely to ever feel the crunch and lack of fics; b) one of my favourite fan fic SERIES, the Sacrifices Arc, revolves around this pairing and c) because it can be done so beautifully, requiring barely a flex of imaginative muscle for you to buy the premise, the mid-bits and indeed, the (usually) heart warming and knee-weakening conclusion. When I read about Sirius’ confusion over his unanticipated feelings for Remus, about Draco’s nervous tingles when Harry’s fingers brush his arm, the lack of coordination and comprehension that haunts the characters as they fumble their way through the story, I’m not so much titillated as I am reminded of what it felt like to be a teenager and in love for the first time. I can recall the heady feelings that accompanied the eternal questions: ‘does he like me?’ ‘how will I know?’ ‘do I tell him?’ ‘am I too obvious?’. Yes, the non-slash romance fics also ask these questions, but given the social situation of most slash fics, the trepidation and anxiety is much more pressing. While the world around us ensures that coming out as homosexual is a much more fraught and (apparently) political act than to declare heterosexual desire, I cannot, with a clean conscience, stand up and say that yes, I understand the anxiety of these boys in fan-written literature, that I know what it is they feel and struggle with when they admit to desire for their male friends. I do not know, I cannot and possibly never will be in that situation, but I can sympathize as best I might. I am of the firm opinion that first ‘love’, or crush or whatever you want to call it is the same, or should be the same, no matter who the object of that desire is. In an ideal world, that would be the case. Slash fics, often enough, create that ideal world. In the ‘Sacrifices Arc’ for instance, there are a multitude of gay pairings (both male and female), homosexuality being an accepted and institutionalized aspect of wizarding society. From what I’ve read (admittedly limited, given the ocean out there), Harry/Draco fics seem to have a more permissive feel to them than the Remus/Sirius ones, often because, I would assume, Harry and Draco have so much more than social homophobia to deal with. Adding this to the mix would just be cruel, don’t you think? Aw. Bookworm Harry is so endearing. But in Sirius/Remus fics, I see a lot more of the ‘real world’. Given that the two are already friends (if the writers are following canon, however loosely), how does one introduce drama and tension into their (new) relationship? It often comes in the form of disapproval, of disowning (for Sirius), of a new layer of insecurity and self-hatred (for Remus). This delays the utterance of feelings, leading to more mind-games, more doubt and finally, more emotion for a truly spectacular catharsis at the close. Trust me, it can be done spectacularly. Reference the Shoebox Project if you have any doubts on that score. I read slash fiction because it is eternally new, celebrating aspects of relationship and romance that transcend sexual orientation and pooh-poohing all those who call homosexuality ‘unnatural’. I read it because it is, quite simply, hot. I read it because there are amazing writers out there who have seen fit to celebrate friendships that, in the book, formed naught more than a background to a larger battle. There is a definite statement in the creation of this fiction, yes, reminding authors that the commercial profits of their creations are theirs alone, but the world they created is the fans’ to rove in and plunder. Given the current fraught condition of that word–‘homosexuality’–the reading of it into a mass-market children’s series is certainly a political act. It’s a reminder that there’s nothing unwholesome about these relationships, that they can exist (we insist sometimes, quite vociferously that they exist) in a magical, ‘child-friendly’ world. A few days ago, I finally finished a long fanfic, ‘Nymphadora Tonks and the Liquor of Jacmel’. I’d found it on the partial-eclipse.net list of Harry Potter detective fics, and decided, hell, why not. I’ve never read much Tonks fanfiction, mostly because the character didn’t particularly interest me in canon, but also because the Remus/Sirius shipper in me does not like Remus/Tonks fic, which appears to comprise the majority of what’s out there for her. But as I’ve mentioned before, I do think the character has a lot of potential. I was one of those who knew this, at some level, but couldn’t be bothered to excavate it for myself, either through reading about her or writing her. It was, therefore, rather out of character (OOC) of me to read this fic. But it was a brilliantly OOC decision, that’s propelled me to read more Tonks, even some (gasp) Remus/Tonks. Note that this does not diminish my shipper’s enthusiasm for Remus/Sirius at all. It merely iterates that I am so comfortable with my ship that I can move on and consume others. 😀 So speaketh the defensive one! ‘NT and the Liquor of Jacmel’ is a BRILLIANT fic. It’s got a host of well drawn, believable original characters (no small achievement), a wonderful depiction of the Aurors’ world (with a bunch of really, really cool Auror aid gadgets!) and great character development. We have Tonks, just starting out in the office, a dark cloud hanging over her in the form of her escaped cousin, her Black-listed family and a lot to prove to sceptical supervisors who are more than inclined to believe she will go Lestrange. Tonks has got to deal with all this and solve a challenging case on the side, much more than the average first-timer has on her plate. I loved this fic. There is so much going for it on every level, the plot, the characters, the little back-story about the hunt for Sirius, the romance (haha, there is some and it is not of the Remus/Tonks variety), Metamorphing opportunities, but Tonks herself steals the show. she was so easy to relate to (I’m in a first job myself), so cool and klutzy and downright awesome that I couldn’t help booting her up my list of characters to read in fanfic. I’m going to be reading a lot more of her now. I also loved Cassius Scrimgeour, Tonks’s partner. And Andromeda and Ted are wonderfully characterized. SnorkackCather is amazingly prescient- this was written before HBP or DH came out, but the brief cameo that Andromeda and Ted had in DH seems fairly close to what she has conjured for them here. And there is a little bit of Sirius, always, always a plus in my book. He does have a way of dogging my reading. So what are you waiting for? Go forth and read the hell out of this fic! You will not regret it. Just follow the link here: Accio fic!